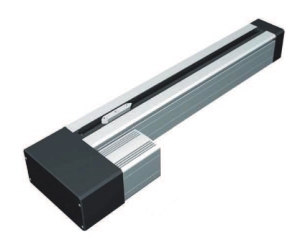 Linear actuators are typically grouped into two principal types: fluid power actuators that operate on differential pressure, and electromechanical actuators driven by an electric motor. 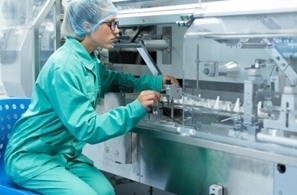 Increasingly, electromechanical solutions are providing an attractive alternative to hydraulics in a wide and diverse array of automation systems. In complex applications, electromechanical solutions can be particularly advantageous as they provide control over the entire motion profile. Moreover, integral encoders accurately control speed and position, while some solutions can also control and monitor torque. Programmability means that motion and force profiles can be changed using software without having to shut down and reconfigure the machine. 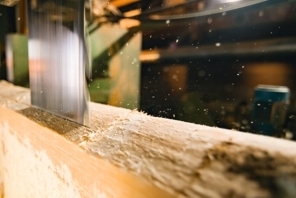 In terms of energy consumption, unlike hydraulics, electromechanical solutions use power only when they are performing work, thus contributing to significant savings. Also, due to their minimal impact on the environment, solutions of this type are strongly preferred in applications where clean operation is important or desired. 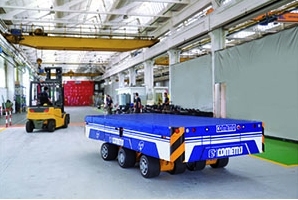 An example case for electromechanical solutions is put by Industrie Cometto SpA, an Italy-based designer/manufacturer of trailers, semi-trailers and self-propelled vehicles, which wanted to replace hydraulic systems on its EMT (Electric Modular Transporter) to achieve greater flexibility in terms of speed and control, and make it suitable for use in ATEX classified atmospheres. The traction and steering systems on the EMT are now equipped with Parker electromechanical products. Each transporter can have from four to 16 wheels, all of which have to follow a perfect trajectory to ensure coordinated motion. With this in mind, the drive system has to guarantee precision in terms of speed, position and torque control. An AC, three-phase, 2.3kW electric motor is fitted to the traction system on the EMT. With regard to the steering system, the position of each wheel axle is controlled electronically using an encoder. Here, each suspension unit is linked to the load platform by a rotation system driven by a 1kw electric motor. The motor is controlled by an absolute encoder and managed by Cometto’s central processing unit. 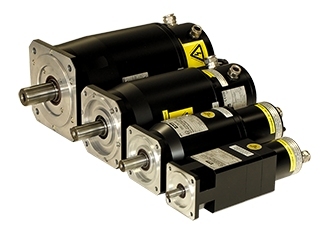 Parker supplies the complete motor and drives packages for both of Cometto’s non-ATEX and ATEX EMT vehicles. For the latter, Parker provides its EX (explosion-proof) servo-motors with AC890 variable speed drives. 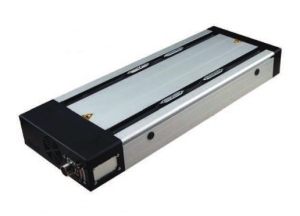 The EX series is a range of permanent magnet explosion-proof brushless servo motors characterised by excellent motion quality, dynamic acceleration/deceleration capabilities and high torque output over a wide speed range. Parker’s AC890 is a compact, modular system variable speed AC drive engineered to control speed and position of open-loop and closed-loop, single- or multi-motor AC induction or PMAC motor applications. The AC890 variable speed drive is compatible with any AC motor and many speed/position feedback options. 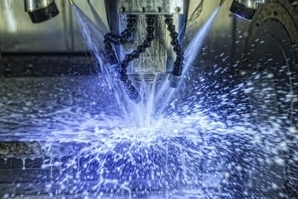 Ultimately, electromechanical solutions offer engineers a number of potential benefits over hydraulics that are proving difficult to ignore when it comes to new system designs. These can include one or many of quality, reliability, maintenance, performance, cost, ease-of-use, noise levels and operational response. Meet BOB – The easy to use breakout boards shortening your time to market. Trinamic Motion Control understand that time is a precious resource. Especially with technology, it’s important to drive the industry by reducing your time to market. That’s why they’re rolling out open source BOBs for our chips transforming digital information into physical motion. 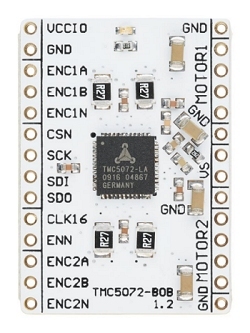 From now on, one single, easy to use electrical component is everything needed for rapid prototyping – you no longer have to worry about building a final design or soldering SMD components before testing a prototype. The BOBs can be used on a breadboard or with flying wires, as all sensitive signals such as sense lines are routed on the BOBs themselves. Trinamic’s Technology Access Package (TTAP) provides the user with a sample code and API for each of the chips found on the BOBs. The comprehensive collection of technical support information and tools for Trinamic’s motor and motion control ICs found in TTAP not only simplify the (physical) design-in and bring-up, it also speeds up firmware development. All this can be transferred to a microcontroller or used with one of the Arduino samples – minimizing the time needed for prototyping. All Trinamic BOBs are open source hardware, with a permissive license. If the design works for you, just take the design and paste it into your board design. Or simply copy the schematics – whatever best works for you. Whether you’re an enthusiast tinkering away, a startup realizing its first MVP, or an international company creating the next groundbreaking application. Building, testing and reiterating your MVP doesn’t have to take long with Trinamic’s BOBs. 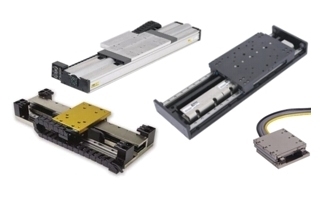 Nippon Pulse offers two types of linear stages – Acculine SLP stages and Nanopositioning SCR stages – both of which are high-precision, single-axis linear stages. Both include an integrated Linear Shaft Motor and encoder offering different levels of precision. Both types of stage are ideal for small-scale applications or applications with space limitations, due to their compact size. 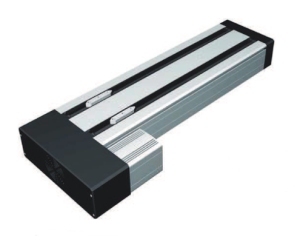 They both provide the speed and performance expected of linear servo stages. SCR stages include an optical linear encoder for sub-nanometer resolution, along with an integrated cross-roller guide and motor cables. This stage produces extremely accurate results with no loss in stability. 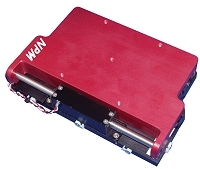 SLP stages include a 1-micron resolution encoder, along with integrated bearings and a linear guide. The SLP is perfect for simplifying the transition from ball-screw systems, and provides an unmatched force-to-volume ratio. There are countless harsh environments that linear mechanics can be used for, but how are the units protected to work properly? The answer is using sealing and shielding technologies. A linear mechanism is comprised of various components. When the assembly is complete, there can be parts critical to the drive train and bearings that are initially exposed. If nothing is done, a harsh environment will destroy the linear stage in short time. Conversely, if the environment is a cleanroom, the actuator can particulate and cause contamination. By adding seals and shields where necessary, those critical components of the actuator are no longer exposed to the harsh environment, and the linear stage can run as it was designed to perform. For clean environments, the seals and shields on the actuator are protecting the application’s environment, not the actuator itself. How do you know if a linear stage has the proper protection from its environment? The stage’s Ingress Protection (IP) rating will tell you this. IP ratings are defined levels of sealing effectiveness of enclosures against intrusion from foreign bodies (dust, dirt, etc.) and moisture. An enclosure rating takes the form of “IP-” followed by two digits, each of which has a specific meaning. The first indicates the degree of personal protection from moving parts and also the level of protection of the equipment from foreign bodies. The second digit defines the protection level that the enclosure offers for exposure to moisture in the form of drips, sprays, submersion etc. Checking the IP rating of an actuator initially can help rule out any that will not be suitable for the environment. It may also save you money. For example, the Parker 400XR Series has an IP30 rating. While it will not have any protection against moisture, it does have intrusion protection against fingers. The XE Series, an economical alternative to the XR Series, does not have an IP protection (i.e. 00). If there are concerns about injuring fingers, XR should be selected. However, if the intrusion protection is not necessary and the XE specs work for the application, the customer can save money by with the XE. Now if a customer needs protection against moisture as well, the XR Series is not the right choice. Instead, they should use the HMR Series, which has an IP54 rating. 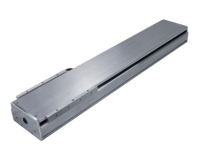 Parker offers a wide array of linear positioners suitable for applications in a variety of environments, even the harsh ones. Our IP rating differs from product to product and application to application, so we are confident the right fit can be found. Once determined, sealing and shielding guidelines are followed for all our linear mechanics to meet the required customer specifications. In addition to seals and shields, positive pressure ports can be included on linear stages as well. This allows customers to purge unwanted contaminants inside their unit, keeping the performance and life cycle at a maximum. What if you are not certain which sealing and shielding technology is needed for their application? Parker will work directly with you to provide custom engineered solutions. We will discuss your requirements and can determine the best product to use based on the environment. Forming this partnership throughout the process ensures you receive the best solution for your application – which is Parker’s ultimate goal.